Craftwork Cards 15cm blank, LOTV freebie image, paper from stash, Papermania pearls, greeting created in Craft Artist Professional. 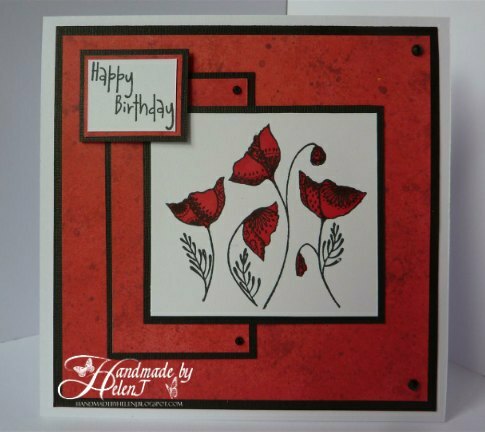 My sister loves poppies and she was the reason I bought the Little Claire Poppies die in the first place, so of course I had to use it for her birthday card this year. I decided to keep it pretty simple and based this on a sketch I saw somewhere, but I forgot to note where. 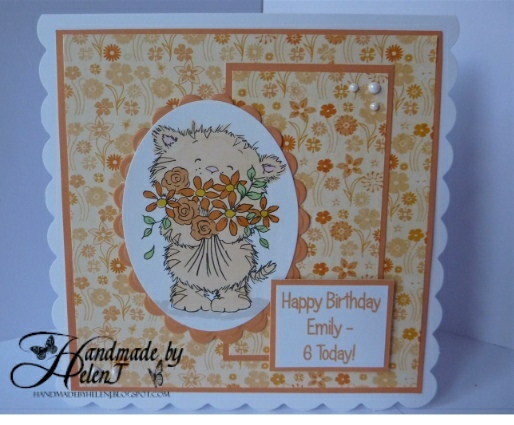 This time I used Poppy (of course!) Promarker with some paper from my stash, mounted onto black Bazzill basics cardstock. Stamp – Little Claire Poppies, Poppy Promarker, greeting stamp by Elzybells (no longer available), flat back gems to finish. It was my father-in-law’s birthday a week or so back & to say he’s an enthusiastic gardener would be the understatement of the century! So, of course, a garden-themed card is always a safe bet. This time it’s a Paper Nation shrink plastic gardener with matching paper, and rather than using baker’s twine I used gardening twine. I had to have this stamp as soon as I saw it as I love poppies, and this was my first attempt using Cosmic Shimmer watercolour paints. 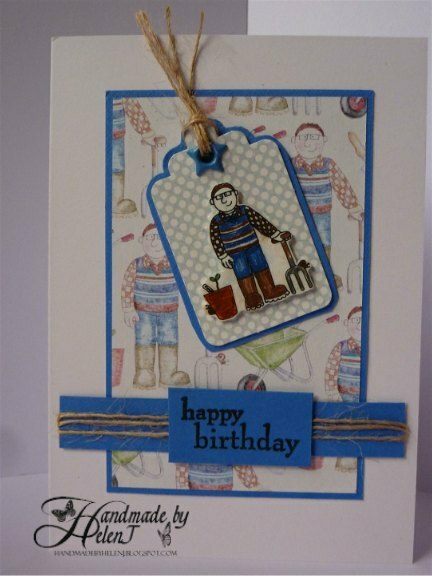 I couldn’t find any suitable matching backing paper and I was, of course, last minute making the card so I improvised and was quite pleased with how it turned out. 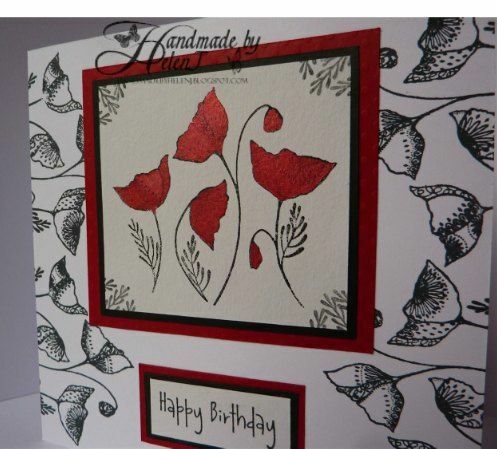 The card is 15cm x 15 cm and I discovered that, stamped twice, the stamp fitted perfectly as a border. I inked part of the leaves 3 times as the corner decoration on the main image. 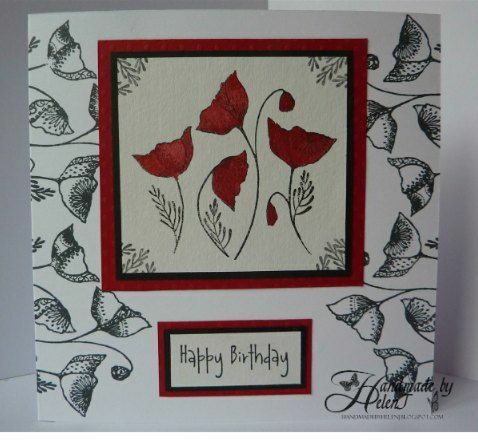 Little Claire Poppies stamp, Cosmic Shimmer watercolour paint in Lava Red on Royal & Langnickel essentials watercolour paper, mounted on card from stash, greeting stamp by Elzybells (no longer available). I’m rather late posting this, the wedding was a couple of weeks ago now. As usual it was a rather last-minute rush to make it but apart from the dodgy stamping in the top left corner I think it worked out ok! 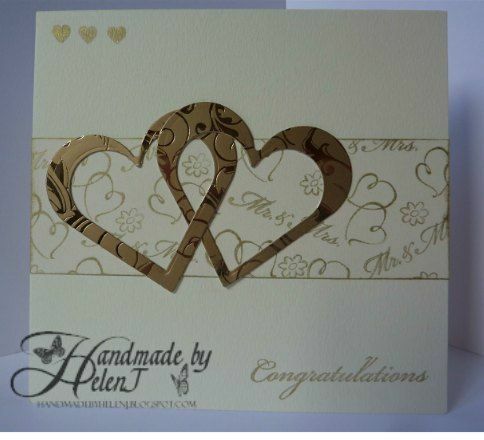 Hunkydory cardstock cut with Nestability Hearts. Background paper & greeting stamped with Hero Arts Two Hearts wedding stamps, small hearts were free with a magazine.